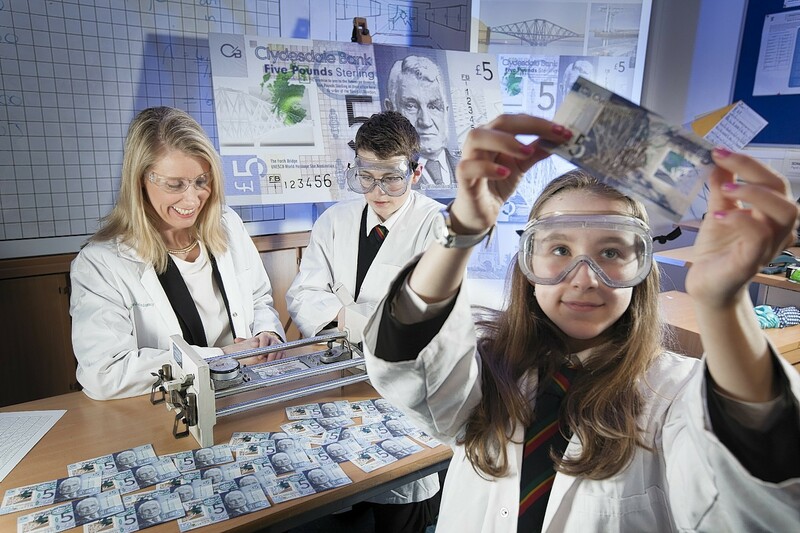 Students from Bearsden Academy's Young Engineers Club ran a series of tests on the new £5 note. A Scottish bank has beaten its rivals to become the first to produce mainland UK plastic banknotes. Clydesdale Bank’s polymer £5 notes go into circulation from today, well in advance of the Bank of England following suit in 2016. Clydesdale is the largest issuer by volume of notes in Scotland. It introduces around £400million of new notes annually and reached the milestone of having more than £2billion-worth in circulation on a single day earlier this year.